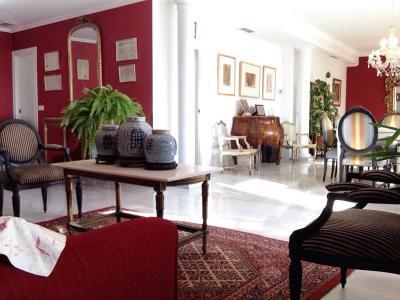 Lock in a great price for Homestay Valencia – rated 8.1 by recent guests! We liked the location and the reasonable price of the room although the festival, sometimes the cost of rooms could go crazily high. Carolina is friendly enough to make you feel at home. We had a lovely stay at the property. The elderly man who greated us and stayed at the home was very kind and accomodating. We had a language barrier with the gentleman but was able to use google translate to communicate. The room was small but really cosy. It had a mini fridge and kettle for you to store some food and make drinks. There was a bathroom with a toilet and a separate toilet. We could use the kitchen and the utensils after asking the gentleman. The owner allowed us to leave our bags before checking in and also after checking out for us to collect later in the day. Carolina was prompt with her responses and made sure we had a comfortable stay. Overall it was very pleasant and we would come back in the future. Even though Carolina speaks only little english, she was really trying her best to communicate with us. She uses her ipad google translate as well. She was really lovely and accommodating. Although we had a shared bathroom, it wasnt an issue at all because there were only 2 rooms who uses the bathroom. But it would have been a problem if we needed to use the toilet and someone is taking the shower. It was well located from the city centre, and well communicated by subway. The owner was reachable and before we get there we were able to solve some doubts with her. We were able to leave the luggage before the check in time. Excellent location close to Benimaclet Metro station (for direct trains to the city, the main train station and the airport; plus trams to the beach). Small fridge in room and use of the kitchen were welcome. The apartment was clean, spacious and beautiful; the room had all facilities like a TV, fridge and heating, and while we shared the bathroom with 1 other room we never noticed; despite a huge language barrier Carolina was really nice and welcoming (she even got my partner to speak to her english-speaking son on video call to ensure we were ok); half and hour walk from city centre and right next to jardines de real which is nice. It was clean, comfortable and the owners were extremely accommodating and helpful. Had a lovely stay here. Apartment was initially difficult to find and I accidently locked out the door when heading out for dinner the first evening but other than that it was a fantastic stay! Had a lovely hostess who was very accommodating and helpful. Gracias! 1 mi from Barrio del Carmen, Homestay Valencia is located in Valencia and features rooms with free WiFi. 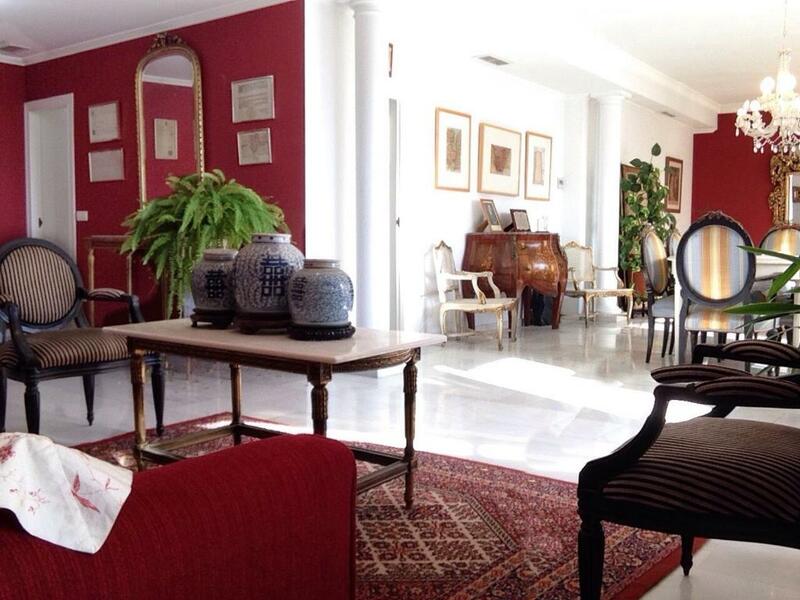 This property is set a short distance from attractions such as City of Arts & Sciences. Oceanografic is 2.3 mi from the homestay. Rooms at this homestay have access to a external private bathroom comes with free toiletries, hairdryer, and toilet. There is also an external shared shower. Rooms at Homestay Valencia also offer a city view. At the accommodations each room comes with a wardrobe. Puerto de Valencia is 2.3 mi from Homestay Valencia, while Bioparc Valencia is 2.7 mi away. When would you like to stay at Homestay Valencia? Standard Twin Room with Shared shower and Private Toilet. This twin room has a tile/marble floor, heating, and bathrobe. The external private bathroom comes with free toiletries, hairdryer, and toilet. There is an external shared shower. Double Room with Shared shower and private toilet. This double room features a bathrobe, heating and tile/marble floor. The external private bathroom comes with free toiletries, hairdryer, and toilet. There is an external shared shower. House Rules Homestay Valencia takes special requests – add in the next step! Please note that late check-in after 21:01 until 0200 carries a surcharge of 15 Euros. Please inform Homestay Valencia of your expected arrival time in advance. You can use the Special Requests box when booking, or contact the property directly using the contact details in your confirmation. • Standard Twin Room with Shared shower and Private Toilet. • Double Room with Shared shower and private toilet. Lack of private toilet as advertised. Room small wardrobe falling apart. no AC. To cool the room, we had to open the window. Noisy street at night since it was near the highway. When the owner showed us around the apartment, she only showed us the room and toilet, we never get to see the living room (which seems available to stay in, according to the pictures) neither the kitchen, she only pointed us the door, and told us that we could use it. The feeling was that we weren't in an apartment but just in a room, with no possibility to get out because we were disturbing the other owner (an old man). The bath was shared, but the bathroom were the bath was, belonged to the other room (double bed one), so if the other host were using the toilet, for us was impossible to take a shower. The twin bed room had a coffee machine with some capsules, but the double bed one had nothing at all, a bit unfair considering all of us paid the same. Finally, the day we left, I was texted by the owner asking about a piece of the curtain which got lost, from the other room (we were travelling together and they didn't speak Spanish, so she texted me as the translator). After a lot of messages which I barely replied to because it wasn't really my problem and my friends had no idea about what was lost, she finally saw the missing thing under a bed, the obvious place. I didn't like the tone of her messages, plus, I wasn't the person from this room, so I really couldn't do anything at all. The overall feeling was quite disappointing. The room was a bit warm, though host Carolina was able to provide a fan. The room overlooked a main road, and, even on floor 10, there was still some road noise. pleased, nice, clean, great for the price! Nothing, it was a little difficult to find and they should sign it better.